When we think about DIY bunting, our first thought is usually colorful flags attached to a long string, which is great, but that only skims the surface! 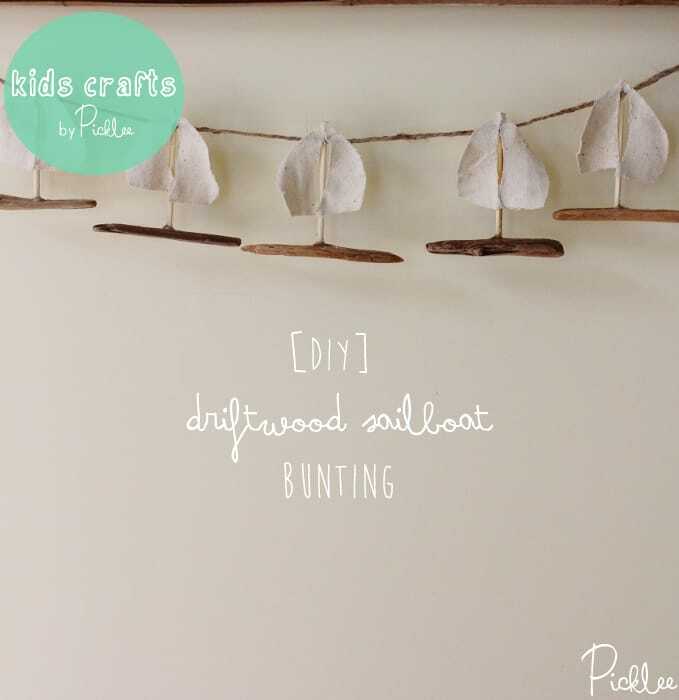 Bunting is super simple & fun to do, making it a great craft for kids…and kids are exactly who we had in mind when we created today’s DIY Driftwood Sailboat Bunting project! 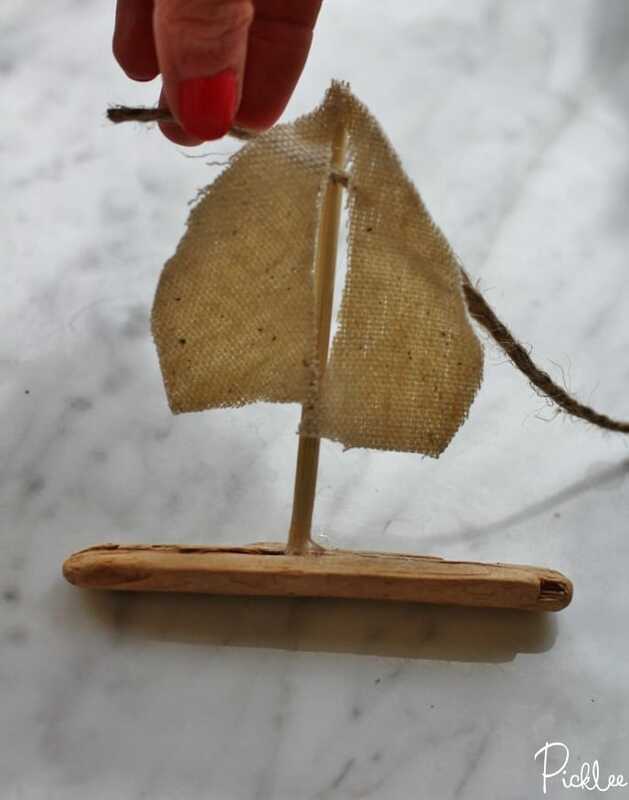 Your little one will love helping (or watching if they’re too little 😉 ) you create these adorable mini sailboats…then string the mini boats up in their room for a fresh, nautical vibe & let their imagination run wild! 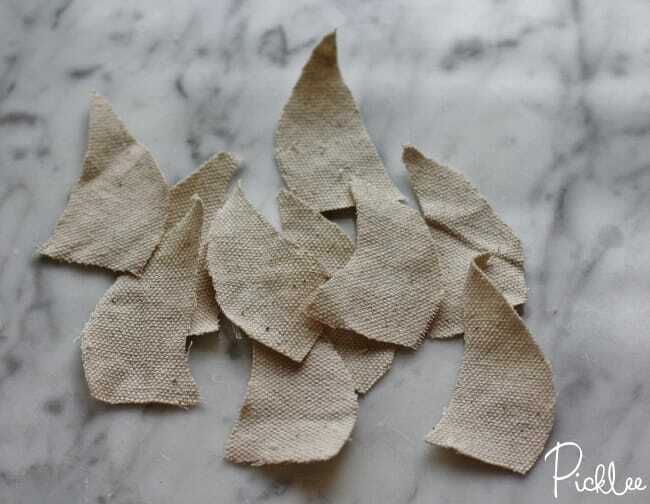 Cut your canvas into little triangle shapes. 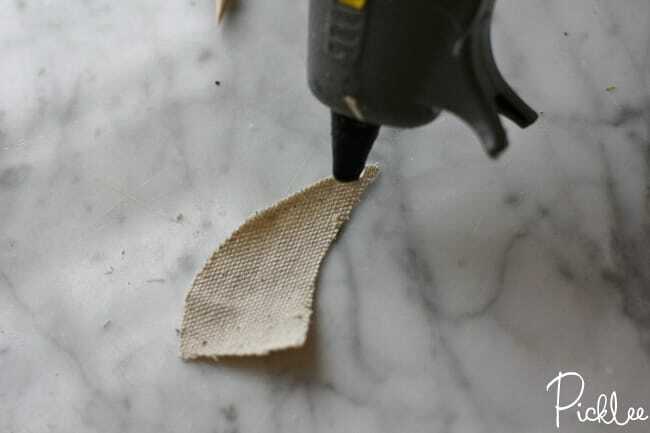 Sails have a slight curve on the insides, so cut a slight curve into your triangle. 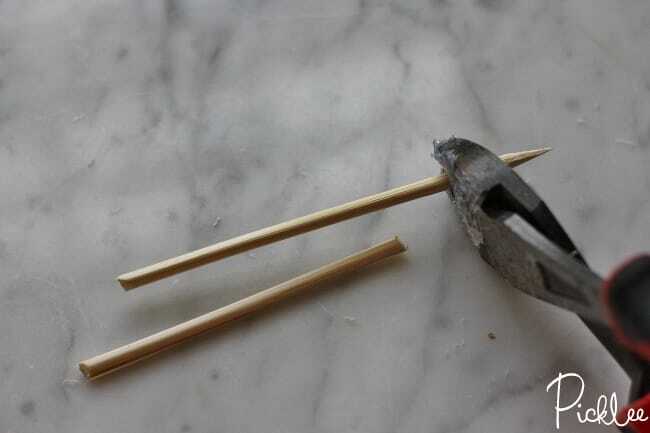 Use wire snips to cut your skewers into 2-3″ pieces. 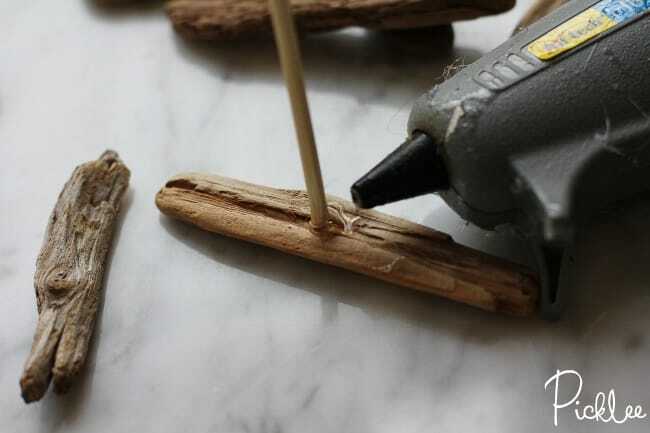 Use hot glue to attach a skewer piece to the middle of each piece of driftwood. 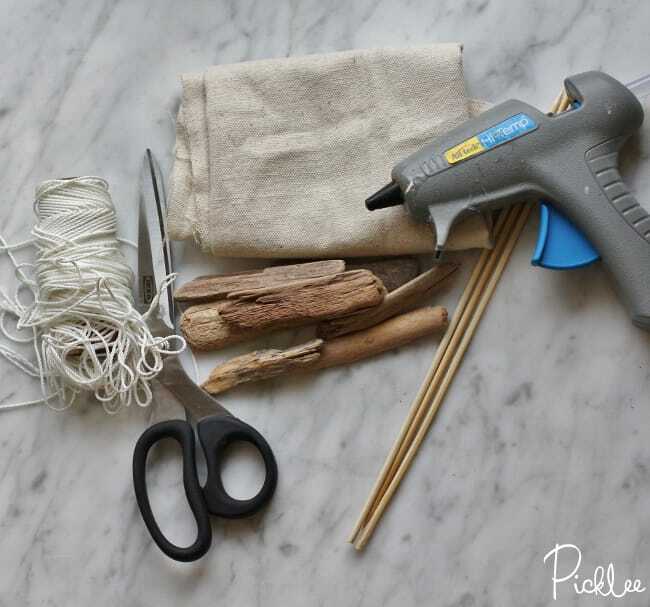 Use the hot glue again to attach two canvas triangles to each skewer. 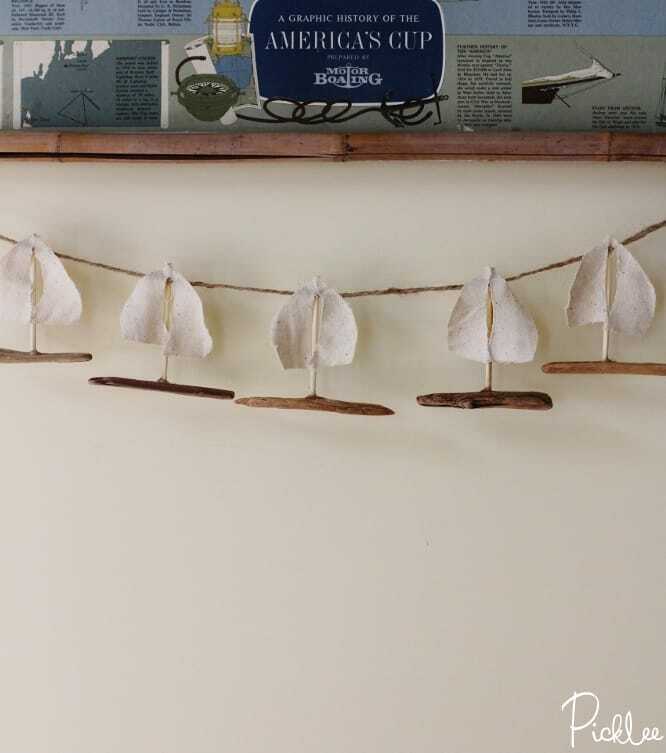 String the sailboats onto a long piece of string by pulling the string behind the sails. 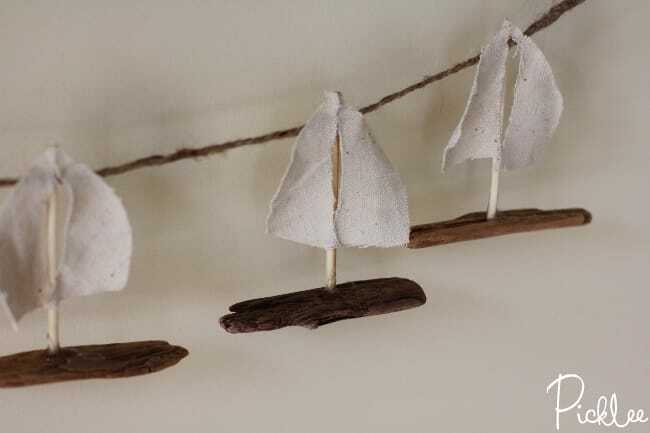 Enjoy your DIY Driftwood Sailboats! 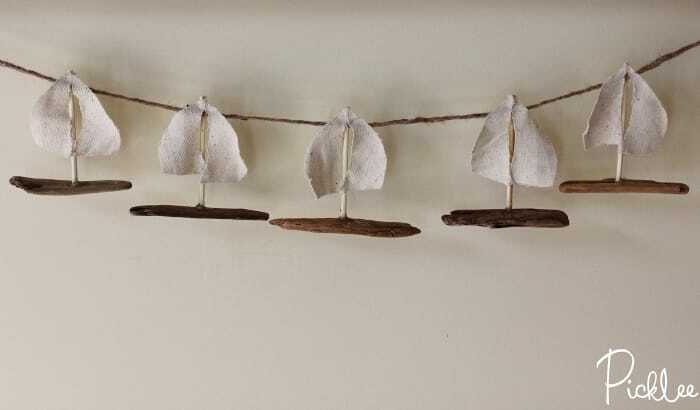 These baby sailboats are so nautical & chic! Looking for more kids crafts? Find them here!